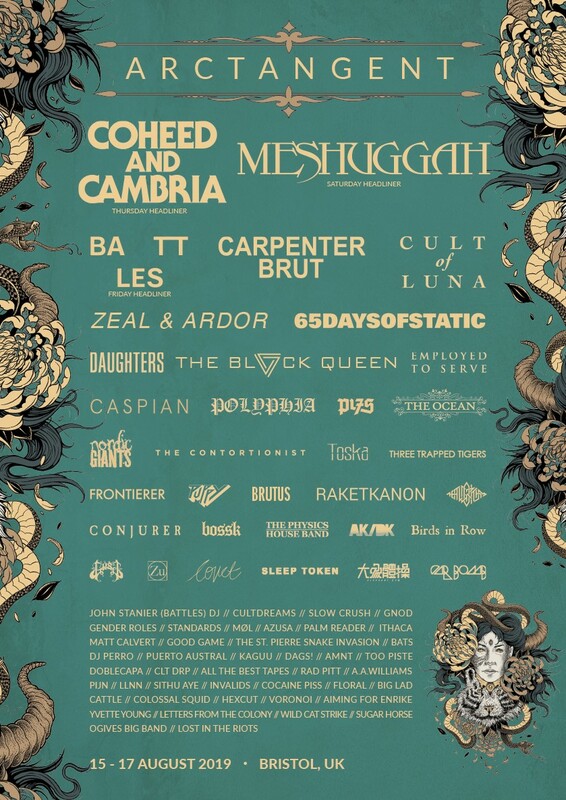 Coheed and Cambria are the third and final headliner to be announced for ArcTanGent festival 2019! The prog rockers will be topping the bill on the Thursday night. Also announced were: Raketkanon, Brutus, Cultdreams, Slow Crush and Gender Roles. The silent disco returns with The Algorithm playing a full band silent disco set on Main Stage, GosT and Battles‘ John Stanier will also be at the silent disco on the Thursday on the Bixler Stage. ArcTanGent takes place at Fernhill Farm, Compton Martin between 15-17 August.